I made this healthy and refreshing fruit salad on Christmas Eve. This is so easy to make that preparation only takes you about 20 minutes. You can prepare all the ingredients and chill for one hour before serving then combine everything together with yoghurt. You don't have to wait until Christmas to make this as this is also great for any occasion. Scoop out avocado flesh and reserve the skins to be used later as salad bowls. 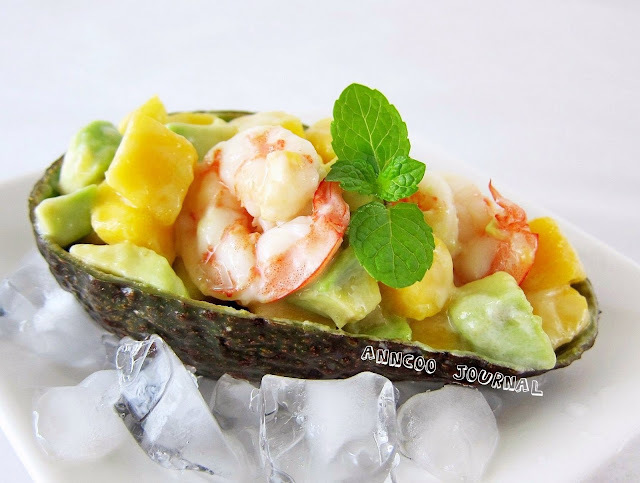 Diced avocado and mango. Add cooked prawns and mix well, then lastly add in dressing and toss well. 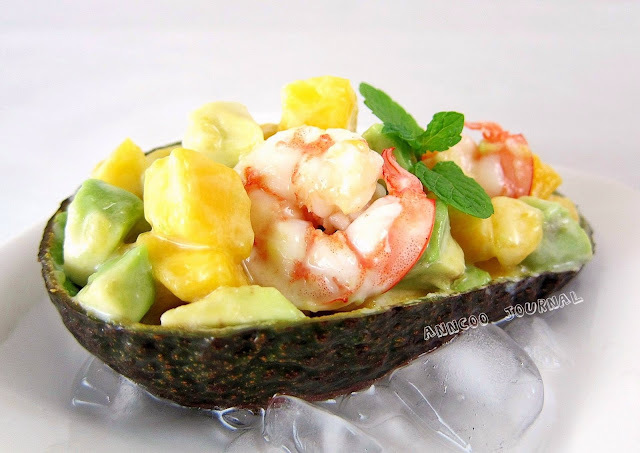 Serve in avocado bowls or if you're lazy, just serve all into a pretty serving bowl.